If you have been injured in an auto accident it can be a scary ordeal. We created the following checklist to help guide you through this process. Regardless of your claim or the circumstances involved in your accident it is important for you to speak with an attorney to make sure your rights are protected. Link & Smith, P.C is a Tucker, Georgia law firm who specializes in litigation of personal injury accidents in greater metro Atlanta and the state of Georgia. We hope the following checklist helps you. If you should have any questions please call us directly. 2. Get the information of any witnesses to your accident. It is also acceptable to exchange insurance information with the other driver involved in the accident. 3. Do not admit guilt in the accident to either the other driver or the police officer. It isn’t your job to determine guilt. Establish and document as many facts related to the accident as possible. 5. Take pictures of the accident scene as well as damage to the vehicles involved. Also take pictures of any injuries that are visible on your body. 6. Keep a running list of the hospitals, doctors offices and any additional doctors you may see, related to the accident. As well keep all related billing of the accident. 7. Keep track of any billing related to the damage of your vehicle. Also, tracking related expenses such as transportation costs, costs related to any help you may need such as day care for children and professional cleaning services. 8. Keep track of any lost wages from your work, including any disability paperwork from your doctors. 9. Writing a daily journal about how you feel and the difficulties you are having as a result of the accident is also recommended. Note what you cannot do, that you could prior to the accident. 10. Keep your attorney apprised of any communication attempts by any insurance companies, including letters and phone calls. 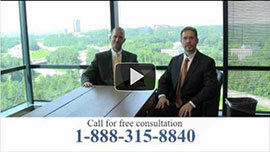 We are a law firm in Tucker, GA who specialize in litigation related personal injury claims. If you or someone you know is injured or killed in an automobile accident contact our office to answer any questions you may have and help you protect your rights and help you get the settlement you deserve.